This year at PAX Prime, I was very fortunate to attend the panel “From 8-bit to Next-Gen, and Beyond.” It was hosted by the one and only Keiji Inafune, INAFKING himself, godfather of Mega Man and my gaming idol. I already knew it would be a special panel despite not knowing exactly what it was going to be about. I managed to get to the Kraken Theatre 40 minutes before the panel started, and even then, I barely made the cut-off (a detail with which I was unfamiliar, having never attended a PAX panel before). About 400 other attendees and I were enclosed in a relatively small waiting area, where we anxiously twiddled our thumbs for about an hour. Enforcers stepped in to hand out cookies and random free goodies, and I passed the time by playing StreetPass titles on my 3DS. When the line finally started filtering into the actual theater, I was ecstatic. 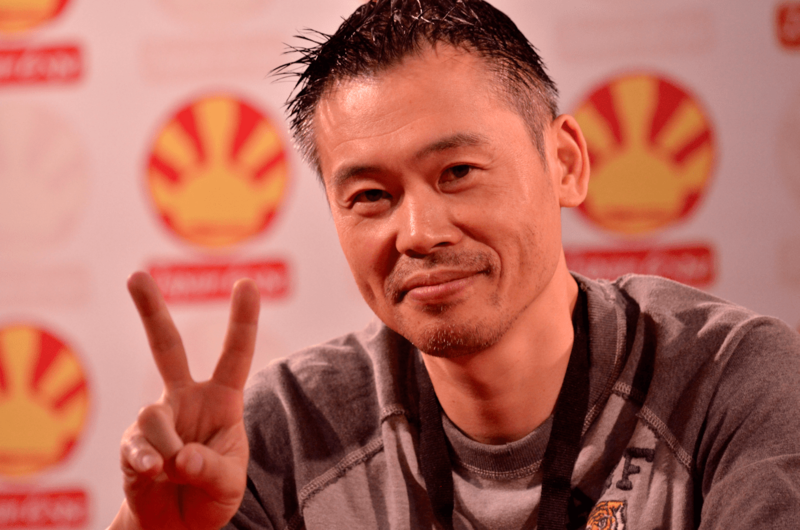 Regardless of what would happen at the panel, I would finally get to see Keiji Inafune in person. It was he who made Mega Man what he is today, his games that pretty much got me into gaming, and from his artwork that I learned to draw by emulating it for years and years. To say it was a big deal would be something of an understatement. The others and I hastily shuffled into our designated seats, and the theater quickly filled close to full capacity. While I was seated at a far angle from Mr. Inafune, I managed to snag some awkward shots of him seated by his translator and the interviewer. Once the interview started, I was surprised to find out that, besides being extremely humble and talented, Mr. Inafune also had a great sense of humor and a naughty streak, for lack of better words. I didn’t have a ideal angle, but the man in the middle is Keiji Inafune! Mr. Inafune answered questions about how he got into the industry. He explained that he went with Capcom because it was closer to where he lived. He actually liked Konami better, but it was farther away! To think that Mega Man might not have existed or might have been a Konami property if he had made that decision is a hypothetical that boggled my mind. 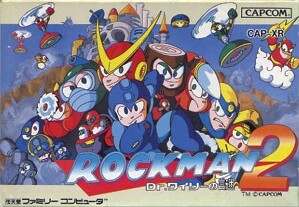 It was clear that, from early on, the Blue Bomber was a passionate project of his, especially considering the original Mega Man sold poorly, and Capcom wasn’t sure if they wanted a sequel. 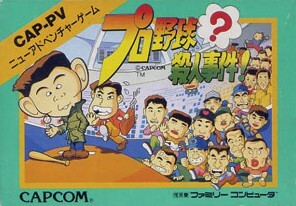 Mr. Inafune insisted that they let him work on a sequel, even agreeing to do work on another game he couldn’t stand, some strange title called Professional Baseball Murder Mystery (『プロ野球?殺人事件!』), if they would also allow Mega Man 2 to become a reality. After about 40 minutes of other questions, it was announced that Mr. Inafune had a surprise for all of us. After stressing that this was not a Mega Man-related surprise, a video was projected onto the main screen. It was a bit of a journal, showing Mr. Inafune walking though Japan, meeting fans and drawing characters. This was narrated by him with English translation. He discussed how many of the Mega Man titles involved fans directly, allowing them to submit bosses. He talked about how important the gaming community was to him and how disappointed he was that some of the more recent Mega Man projects had been swept under the proverbial rug. He was passionate about making a game with the same sort of style and soul as Mega Man, but without actually being the Blue Bomber. I immediately thought this was a reference to the penguin-oriented IP that I had heard he was working on. Imagine my utter shock when I saw a scribble of a whole new character, strangely familiar yet very different from the Mega Man I knew and loved! Thus was announced the Kickstarter for Mighty No. 9, which struck me as a Mega Man for a new generation. All the concept art was beautiful, somewhere stylistically between the Zero series, the original series and the X series. 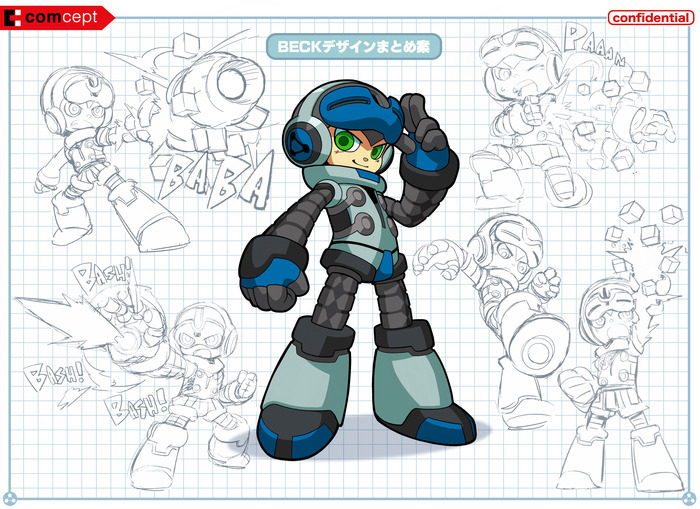 The titular hero was named Beck, and besides power copying, he could also transform! 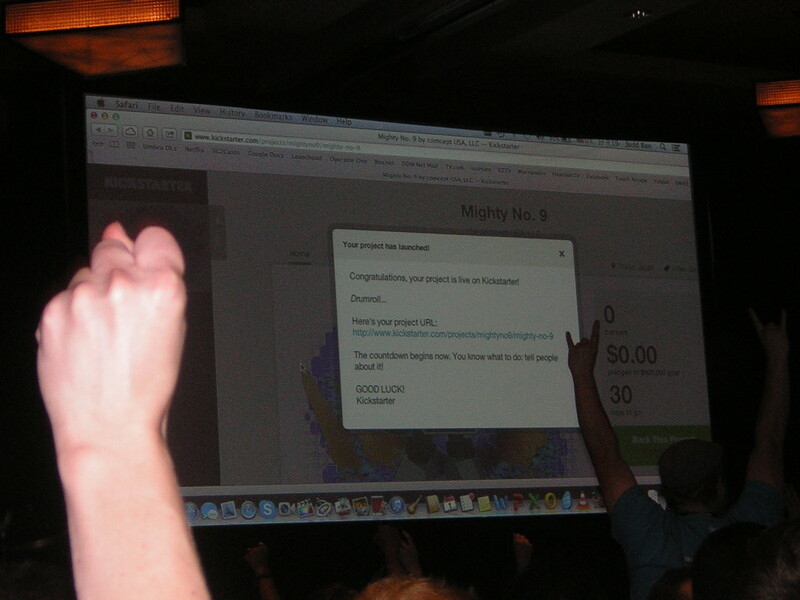 Within seconds of Mr. Inafune clicking the Kickstarter into life on the main screen, money was instantly being pledged. Within a few minutes, it went from $10 (USD) to $400 to $1,000, and it kept jumping up and up! It was quite a sight to see, and the crowd, myself included, went wild. We couldn’t stop clapping, and we gave Mr. Inafune a standing ovation. The fist bump says it all, really. 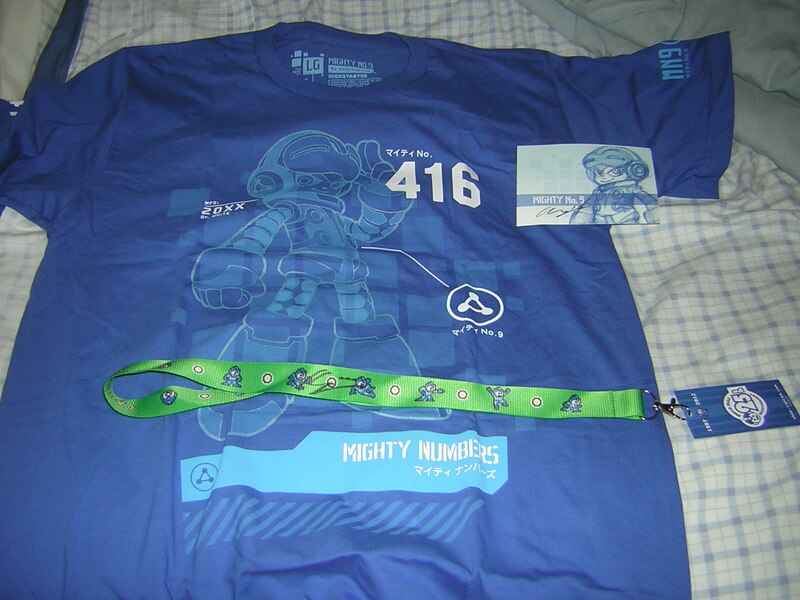 My number and lanyard proudly displayed. After arriving in the correct line, I proceeded to wait for the next hour-and-a-half or so, impatiently dancing back and forth. 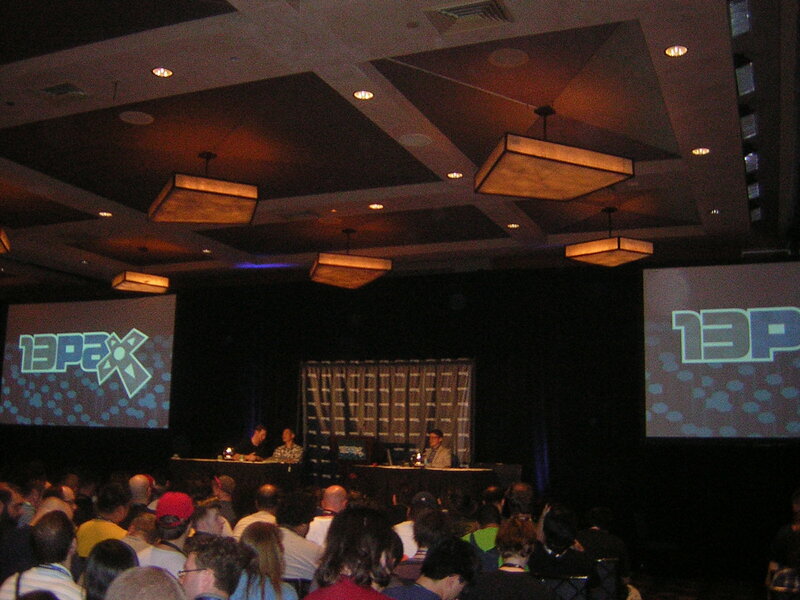 Once I got to Mr. Inafune, I was completely starstruck, so much so that I forgot to ask if I could take a picture. 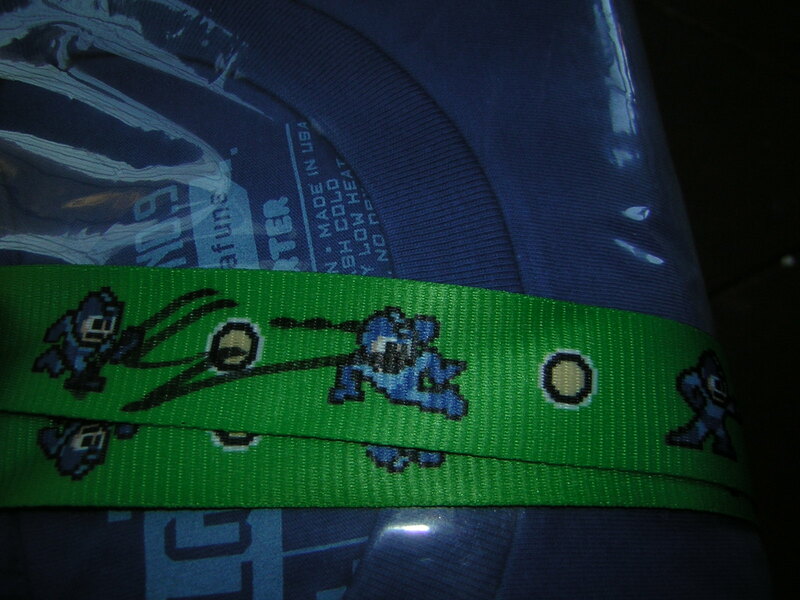 Regardless, I got a Mega Man lanyard personalized, and I couldn’t be happier. Had I known in advance, I would have brought my Mega Man 25th anniversary complete art book to get signed, but either way, I am beyond happy. Signed by the master himself! This made my entire PAX. Meeting my gaming idol, getting his signature and being one of the first to see the announcement of his new project was heady and completely satisfying. I don’t know how I’ll top that at the next PAX. Until then, I’ll be counting the days until Mighty No. 9 is finally released!